The easiest way to run Apache Airflow. 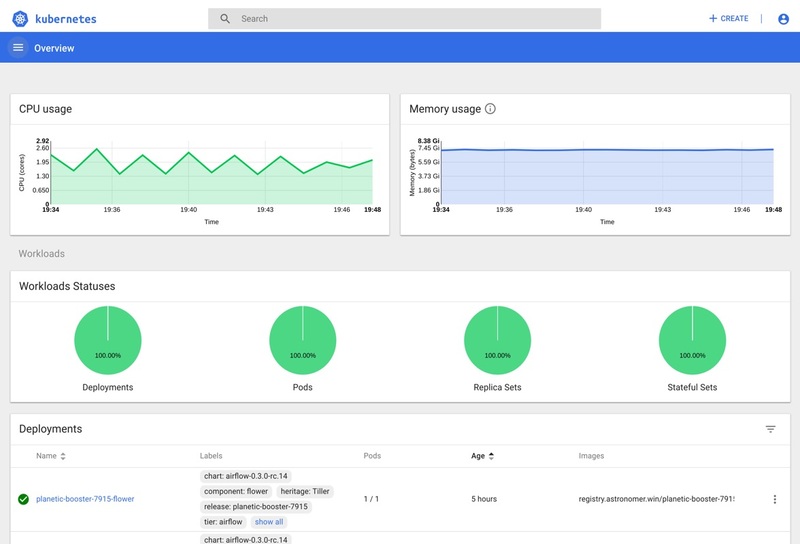 Built on Kubernetes, Astronomer makes it easy to run, monitor, and scale Apache Airflow clusters in our cloud or yours. Create multiple Apache Airflow instances. Manage as many Airflow environments as you need, each with isolated resource allocation, user access, and service accounts. 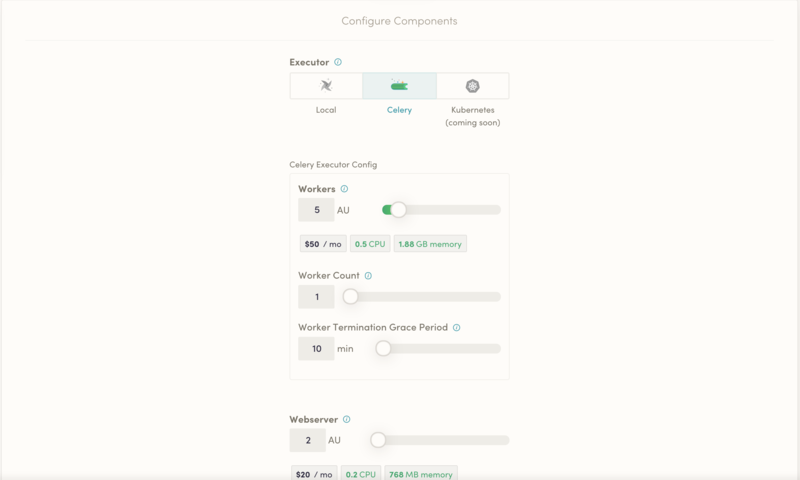 Astronomer gives you complete control over your executor type and resource allocation, allowing you to scale without hassle. 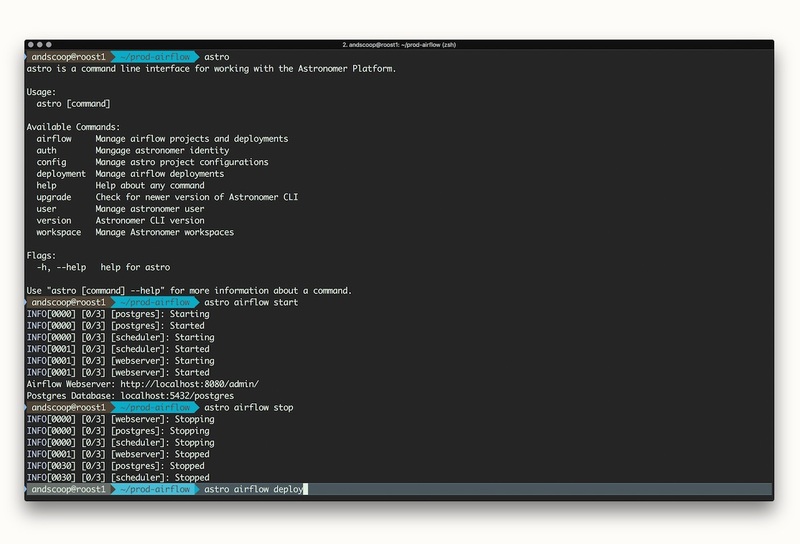 Easily develop and deploy DAGs using the Astro CLI- the easiest way to run Apache Airflow on your machine. 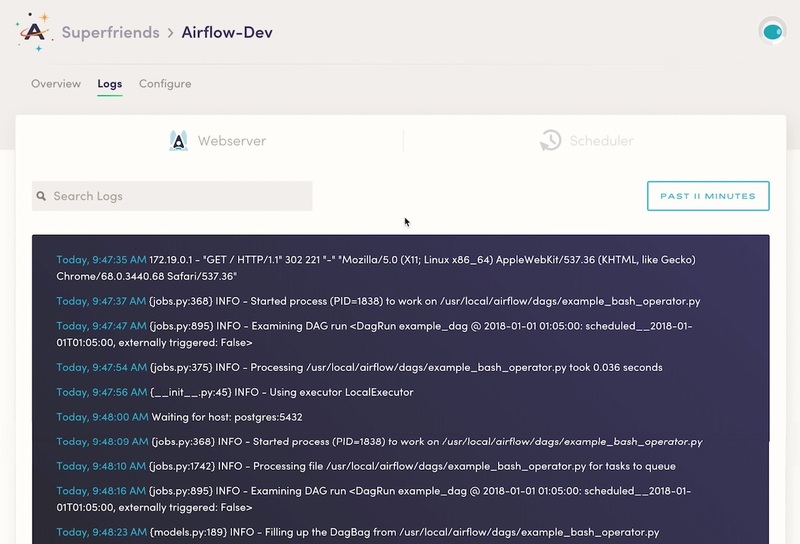 Astronomer delivers Airflow's webserver and scheduler logs directly into your UI, effortlessly. With full-text search and filtering, you'll never waste time digging through log files ever again. When you're not running jobs, you shouldn't be paying for idle resources. Thanks to the power of the Kubernetes, you'll cut costs by only paying for the resources that you actively use. SpaceCamp is our custom-tailored, onsite Airflow training and onboarding program for organizations looking to unleash the full power of Apache Airflow. 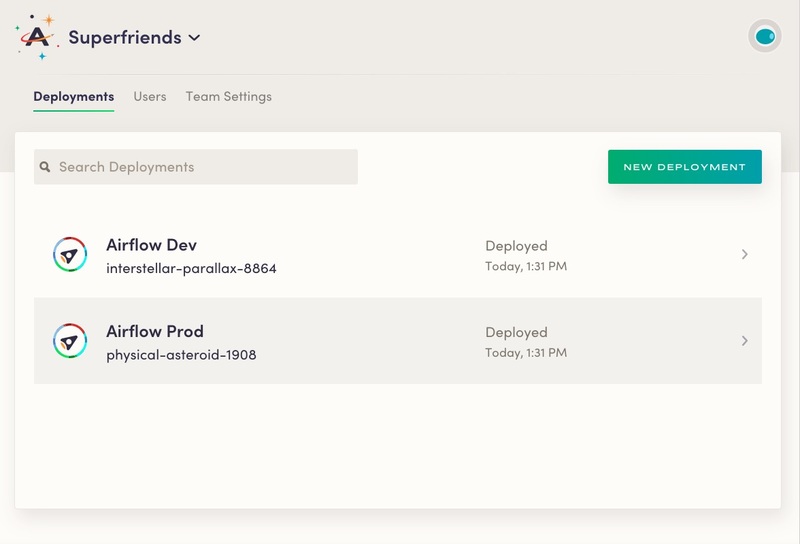 Learn about one of the most powerful components in Airflow, with examples for how to develop integrations and clean workflows. Tell us about yourself and we'll put you in touch with the right people. What's your current Airflow situation?